The New Right party in Israel has released a satirical video to start its campaign mocking the fears felt by the left-wing. 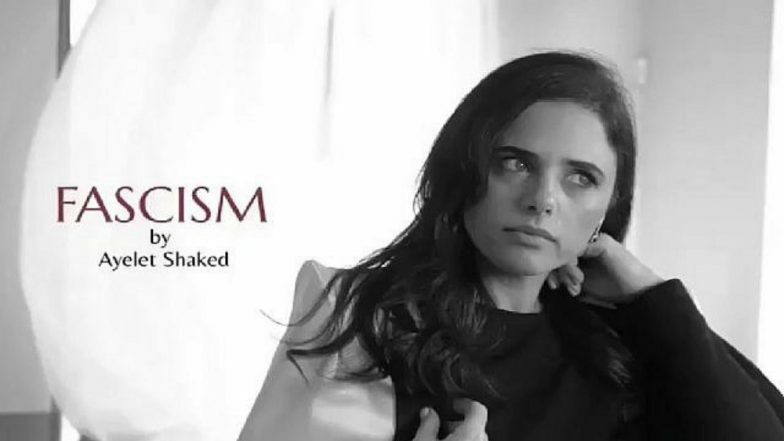 With a perfume ad starring Justice Minister Ayelet Shaked, a co-chair of New Right she sprays a perfume called 'Fascism, by Ayelet Shaked.' She stars as a sultry model getting ready for her work. As she picks up and sprays the perfume she says bluntly, "To me, it smells like democracy." The video has been going viral and has been viewed more than a lakh time. The reactions of this video are slamming the concept. While some call it sarcastic, others say it is plain direct. Fresh Tensions in Gaza Strip as Israel Carries out Intense Air Raids. It is a faux perfume ad and a nice way of promoting the new change the party plans to bring into the country. Ayelet Shaked has made significant changes to Israel’s Supreme Court by adding in more conservative judges. She has also pushed for reforms of the judicial branch. Her great achievements are being used as a way to show what all reforms the New Right can bring in. Just as she walks away from the camera and says, "The next revolution is coming." Bizarre! Politician Brings In Virat Kohli Lookalike Instead of Original Promised in Election Campaign Posters. New Right co-chair Education Minister Naftali Bennett shared it on Twitter with a witty caption. He wrote, "The perfume the leftists aren’t going to like very much." This ad has also received its share of criticism. A reporter has slammed the ad for misogyny. Another reporter wrote, "This is one of the most bizzare election ad you have ever seen: Israel's Minister of Justice (!!) Ayelet Shaked plays a model, sprays herself with "Fascism" perfume and says: "Smells like democracy to me". Viktor Orban on steroids." The New Right wants to say that the party will be more democratic but have chosen the sarcastic way of saying things. Meanwhile, some argue it's not sarcastic at all.